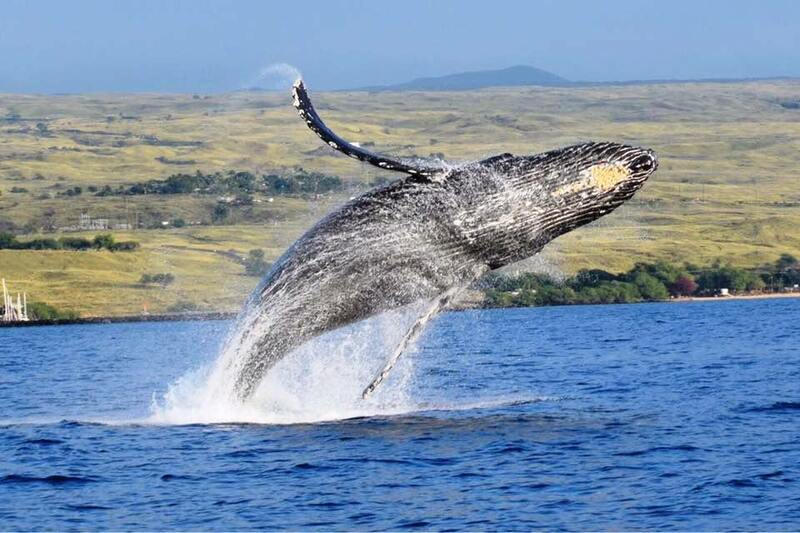 More than 380 volunteers gathered data from the shores of Hawaii Island, Oahu and Kauai during the final count of the 2017 Hawaiian Islands Humpback Whale National Marine Sanctuary Ocean Count. Tribune-Herald. Women would no longer have to make a trip to the doctor to get a prescription for birth control pills or other forms of hormonal contraception under a bill that gained approval from negotiators in the House and Senate on Tuesday. Star-Advertiser. Passage Of State Budget Bill Breaks The Legislative Logjam — For Now. Negotiations continue on the rail-tax measure during the secretive home stretch when Senate and House leaders meet in conference committees. Civil Beat. Advocates Fear Hawaii’s Sick Leave Bill Abandons Workers In Need. But industry groups say bills that mandate paid sick leave for workers and expand the state’s current family leave law will push prices higher. Civil Beat. Hawaii lawmakers are in the midst of intense negotiations about what bills to pass this year. But with only three days left to make decisions, some committees haven’t even met yet. Bills to increase public input about new seawalls, ensure media access in disaster zones and protect lifeguards from lawsuits may die without negotiations. Civil Beat. A new course of relief for residents plagued by little fire ant infestations or concerned about falling albizia trees is nearing the finish line in the state Legislature. House Bill 606 allows county employees or authorized county agents to enter private property in order to manage invasive species or pests on the land. Tribune-Herald. State officials reassure visitors after rat lungworm cases. Associated Press. President Donald Trump is ordering a review of the designations for more than two dozen national monuments, including ecologically rich marine preserves in the Pacific such as Papahanaumokuakea, Marianas Trench and the Pacific Remote Islands. Civil Beat. President Trump is expected to sign an executive order Wednesday that could end up shrinking — or even nullifying — some large federal national monuments on protected public lands, as established since the Clinton administration. Hawaii Public Radio. The city is seeking input on its draft plan for transit-oriented development around the three rail stations in the Hono­lulu Airport area, including proposed new mixed-use communities not primarily centered on housing. Star-Advertiser. Some residents on Oahu’s North Shore want to stop tour bus companies from dropping off passengers at beaches in the area. KHON2. Gov. David Ige joined dozens of kindergarten and first-grade students, along with faculty and state officials, to dedicate a new one-story, air-conditioned building at Ewa Elementary School on Tuesday. Star-Advertiser. Is a DLNR officer harassing a North Shore businessman? KITV. Hilton Hawaiian Village Waikiki Beach Resort is looking for a “few good men and women” to fulfill its goal of making military veterans and military family members 7 percent of all their new hires in the next three years. Star-Advertiser. Waikiki center seeks more aid as costs and services grow. Star-Advertiser. Even though there have been no cases of rat lungworm on Oahu, fear about the disease is hurting sales for growers of leafy greens. Hawaii News Now. Kahala Resort plan: Privatization of public beach? KITV. Honolulu-based Island Air and South Korea's Jin Air have entered into an interline partnership, which allows travelers to book connections between Jin Air’s network throughout Korea and Southeast Asia and Island Air’s destinations in the Hawaiian Islands. Pacific Business News. Leaders in the state House and Senate agreed to a budget deal that includes funding for extending Saddle Road to Queen Kaahumanu Highway, responding to rat lungworm disease and containing rapid ohia death. Tribune-Herald. West Hawaii is currently using less than 40 percent of what scientists have determined is the sustainable yield of water in the Keauhou Aquifer system. If current population growth trends continue, that amount will top 60 percent by 2035. West Hawaii Today. Big Island Residents Step Up Resistance To Solar Project. Residents of Hawaii Ocean View Estates are upset about having no formal way to oppose or have input into plans for a large solar farm in their subdivision. Civil Beat. Peter Kema Sr., as part of a condition of a plea deal, led police on Sunday to a site in Puna where he claims he dumped his 6-year-old son’s body in 1997. Tribune-Herald. Bird excrement annoying post office goers in Waikoloa Village. West Hawaii Today. The $1.1 billion in capital improvement projects that state House and Senate conferees agreed upon Monday for the biennium budget include $63 million for the Kihei high school, which should be enough to open the school by 2022, education officials and state lawmakers said Tuesday. Maui News. An approximately $90 million, 217-condominium unit project behind the Kamaole Shopping Center along South Kihei Road moved closer to fruition Tuesday as the Maui Planning Commission granted a Special Management Area use permit for the project. Maui News. The former Maui Film Studios will be converted into a 23,000-square-foot trampoline park to open in July or August in the Maui Lani Village Center, the park’s owner said Tuesday. Maui News. A non-profit dance academy in Kula is scrambling to vacate the Old Kula Community Center building that is being condemned by County officials due to the discovery of chipped and deteriorating lead paint. Maui Now. Researchers who examined Maui’s nearshore waters in a study of changing sea depths discovered a remarkable amount of seafloor and coral reef erosion — enough sand, rock and other material over nearly four decades to fill up the Empire State Building 81 times. Star-Advertiser. Hawaii lawmakers have approved a budget bill providing funds for the transfer of operations of Maui Memorial Medical Center and two other state-owned Maui County hospitals to private health care provider Kaiser Permanente. Pacific Business News. When it comes to Kauai’s General Plan, Planning Commissioner Glenda Nogami-Streufert wants to make sure future lawmakers are not locked into policies they cannot enforce. Garden Island. Dow Chemical is asking members of President Donald Trump’s Cabinet agencies to “set aside” results of federal studies that say three pesticides may pose a risk to the health of endangered species and humans. Garden Island. The water conservation request for Wainiha and Haena residents has been lifted as of 4 p.m., April 25. Customers may return to normal water use. Garden Island. The state Land Use Commission could make a decision this week regarding the water usage at Oracle Corp. co-founder Larry Ellison’s Manele Golf Course on Lanai, which could lead to the billionaire shutting down the course. Pacific Business News.